Adults and kids are going to love this new exhibition, especially if they’re soccer fans like my sons. Fútbol-inspired paintings, photographs, videos, and sculptures by local and international artists explore not only the beauty, brawn, and excitement of the game; but also its cultural significance in societies around the world (stay tuned for my review). I can’t wait to see this exhibition about the relationship between Queen Victoria and the invention of photography in the 19th century. 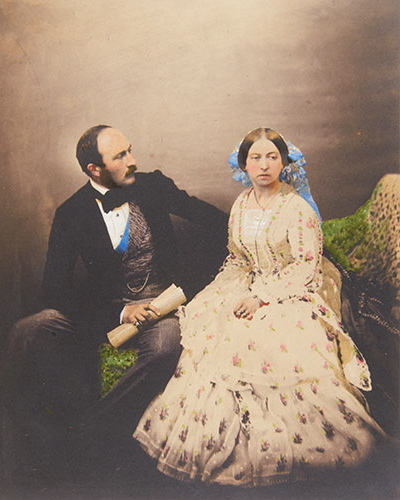 Photography was introduced to the world in 1839 only two years after Victoria became queen. Rare early photographs (daguerreotypes) and private portraits of the Royal Family document Queen Victoria’s extraordinary life and times, and her passion for photography. UCLA’s Fowler Museum celebrates its 50th anniversary with Fowler at Fifty — a suite of exhibitions featuring stunning objects from the Fowler’s acclaimed global collections, from Nigerian Yoruba twin wooden statuettes (photo left) to New Zealand Māori cloaks on view for the first time since they joined the museums’ collection in 1965 (see my review). Global Citizen: The Architecture of Moshe Safdie, Skirball Cultural Center (through March 2, 2014). 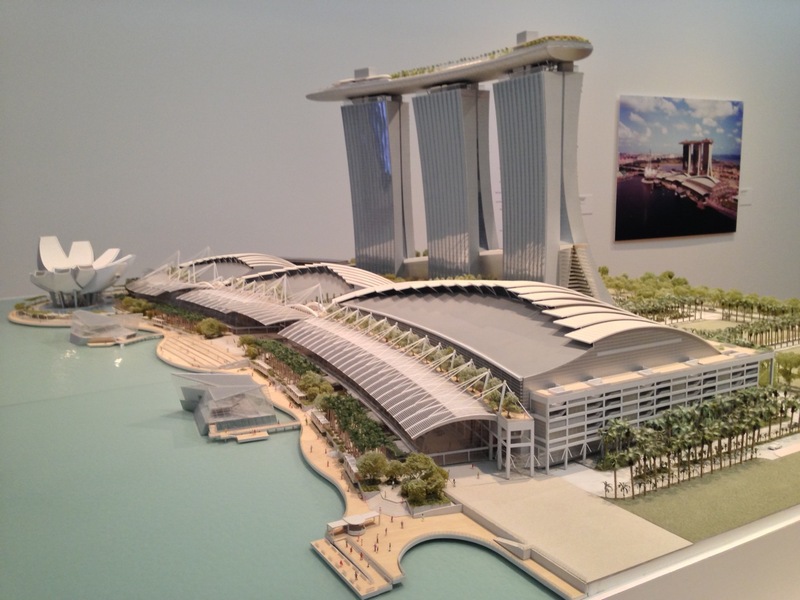 Global Citizen explores Safdie’s nearly fifty-year international career — the exhibition includes beautifully rendered architectural models of his projects from around the world, from Israel to North America, and even Singapore where he recently designed the wildly futuristic Marina Bay Sands complex (photo left). See my review for exhibition-related family activities. The centerpiece of this exhibition is an awe-inspiring bronze sculpture (nearly 8 feet tall) of the Roman emperor Tiberius. You’ll discover the complexities of the ancient ruler’s character and his rise to power, and even a bit about the politics of fashion in a section about Roman togas. This is a great exhibition for 6th grade LAUSD ancient civilizations class enrichment. Calder and Abstraction: From Avant-Garde to Iconic, LACMA (through July 27, 2014). 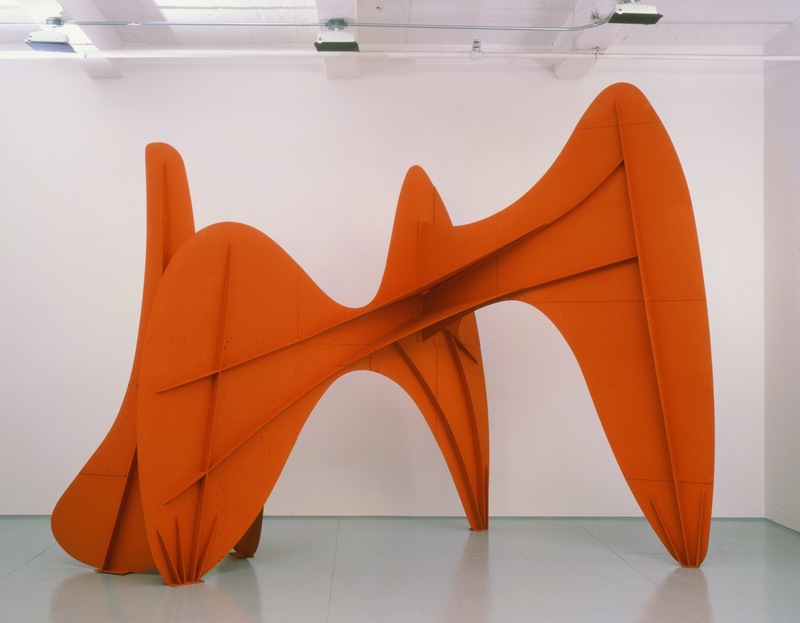 This retrospective brings together fifty Alexander Calder sculptures in an installation designed by architect Frank Gehry. Using ordinary flat sheets of metal and thin wire, Calder created extraordinary abstract mobiles that revolutionized the world of modern sculpture (see my review. Timed ticket reservations required. James Turrell: A Retrospective, LACMA (through April 6, 2014). 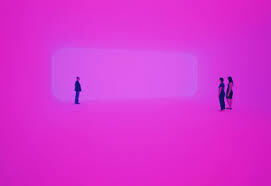 James Turrell’s immersive light installations have to be experienced to be believed. Get ready to have your visual perception and your mind altered. See my review for details. Timed ticket reservations required. It’s a popular show so I recommend you purchase tickets online at least 24 hours in advance. Traveling the Silk Road, Natural History Museum (through April 13, 2014). What Every Snowflake Knows in its Heart, Santa Monica Museum of Art (through April 5, 2014). There’s snow in Santa Monica thanks to artist Yutaka Sone and writer Benjamin Weissman. Together, they’ve transformed the Museum’s galleries into a winterscape filled with their collaborative snow-themed paintings, sculptures, and videos. They even created a monumental ski mountain with roving chairs lifts and ski characters. Add a comment and let me know about your museum visits, and don’t forget to share this blog post with your friends and family. 1. Andy Warhol, Pele, 1978. Courtesy fo the Andy Warhol Foundation for the Visual Arts, Inc.
2.The Prince and the Queen, 1854, Roger Fenton, salted paper print, hand colored. Royal Collection Trust/© Her Majesty Queen Elizabeth II 2013. 3. Twin memorial figure (ere ibeji). 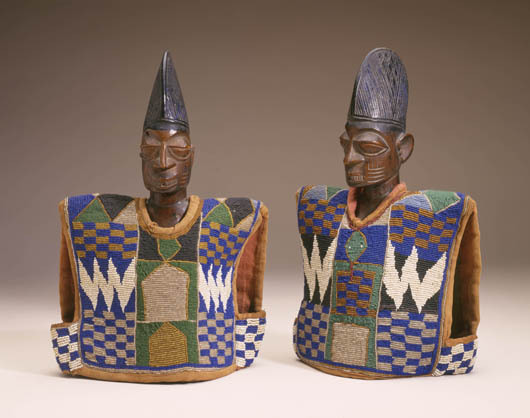 Yorùbá peoples, Nigeria; mid-20th century; Fowler Museum at UCLA. 5. 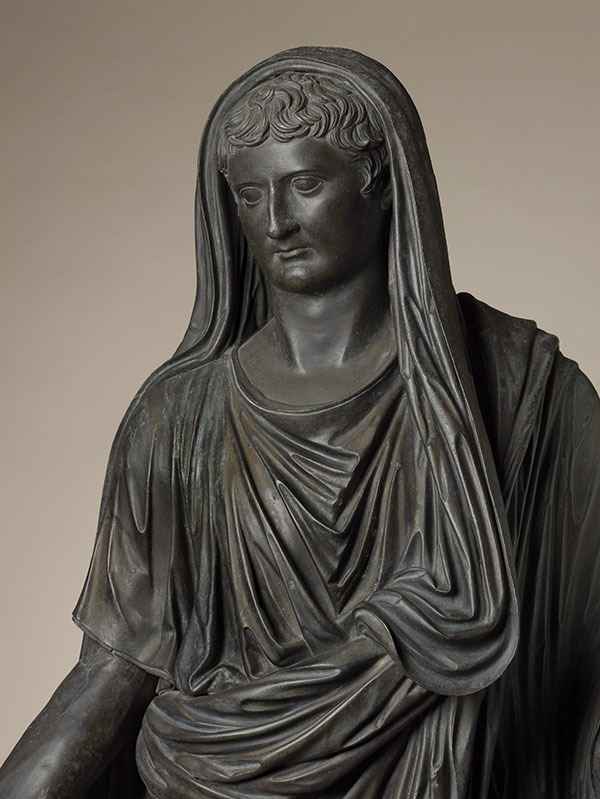 Statue of Tiberius, Roman, A.D. 37, Bronze. Soprintendenza Speciale per i Beni Archeologici di Napoli e Pompei – Museo Archeologico Nazionale di Napoli, Laboratorio di Conservazione e Restauro. 6. Alexander Calder, Blue Feather, c.1948, sheet metal, wire, paint. The Calder Foundation, New York. 7. James Turrell, Breathing Light, 2013, Los Angeles County Museum of Art, purchased with funds provided by Kayne Griffin Corcoran and the Kayne Foundation, © James Turrell, Photo © Florian Holzherr. 8. Traveling the Silk Road banner. Courtesy of the Natural History Museum. 9. Yutaka Sone and Benjamin Weissman, Grandma’s Closet [detail], 2007. Courtesy of the artists.